Google+ Organic Gardens Network™: Do You Need Help Growing Your Groceries? 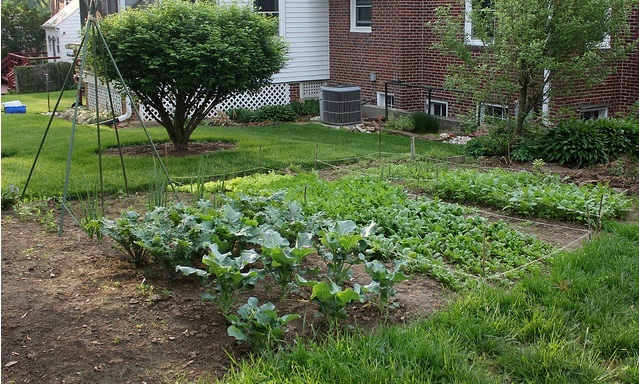 Do You Need Help Growing Your Groceries? SproutRobot to the rescue! This innovative online garden tool helps you to easily start your garden, and keep it going. This free web service will tell you when to plant your fruits and vegetables according to your growing zone. All you have to do is sign up for free, enter your zip code, tell it what you want to grow, and SproutRobot will create a growing calendar personalized just for you. You will receive emails just in time to remind you of what to plant and when so you can have a thriving, productive garden all season long. What could be easier! If you would also like them to send you the seeds you need for each planting, they will send you organic heirloom seeds according to your planting schedule for an extra cost. Their seed source is from High Mowing Seeds. Thank you so much for sharing that resource. I'm badly wanting to get into gardening and it's good to know I'll be reminded when it's time to plant certain things in my area. You are very welcome Jeff. Happy to share a resource that will be helpful for you. Enjoy your garden and its beautiful harvest!